TRC is credited in a recent article in Scientific American magazine. We are very proud of our assistance in the important work being done in the Galapagos. 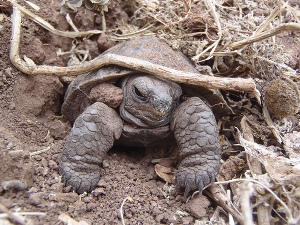 To quote the article, "After more than 100 years, Galápagos giant tortoise hatchlings finally have a chance to thrive and survive on their native Pinzón Island, after conservationists cleared it of the invasive rats that nearly wiped out the animals."